Tonight, we host January’s Club reading at the Marylebone Theatre of Regent’s University. Stalag XXB by Tommy Kearney will be staged to commemorate yesterday’s Holocaust Memorial Day, and will be directed by Sarah Berger. It will star Alexander Allin, Frazer Blaxland, Nicholas Delvalle, Jonathan McGarrity, Eavan Murphy, and Chris Orr. It’s non-ticketed and free to attend. Doors at 7pm, drinks from 6pm. February’s reading will be Freehold by Roger Goldsmith, directed by Terry Iland, and casting details (for actors with playing ages in their 50s) for that can be found here! Annette Holland will be performing in Colder Than Here by Laura Wade at The Maltings Arts Theatre on 14-16 Feb.
Mandi Symonds is playing Wagner in Marlowe’s Dr Faustus at the Globe in the Sam Wanamaker Theatre. She is also in the Dark Night of the Soul anthology playing Dr Brandt in Recompense by Athena Stevens, also at the Globe. The premiere of Roger Goldsmith’s play Exhume is to be staged at the Titchfield Festival Theatre as part of their New Play season from 25 Feb to 2 Mar. Leo Kellegren-Parker‘s venture LIVR has gone live. Check out this fantastic new venture – the home of VR theatre! An affordable subscription-based virtual content platform of live performances on-demand and from the comfort of home. Silvana Maimone performs in Call Me Fury at VAULT Festival from 13-17 Feb, a ferocious exploration of the witch trials, and womanhood in a world where the people around you, the legal system, the whole social order don’t seem to give a damn. Sound familiar? Louise Templeton is joining the company of Noel Coward’s A Song at Twilight for the UK tour, Feb to Apr, starring Simon Callow and Jane Asher, directed by Stephen Unwin, a Theatre Royal Bath production. Jane Cafarella has two short plays featuring in Timeless Tales – A Family Theatre Fest, in Singapore this coming weekend (25-27 Jan) presented by Dream Catchers and ARC Light Productions. Oliver with a Twist (Four people go our for dinner. It’s complicated.) is directed by Susie Penrice Tyrie, and Greater Expectations (Pip proposes but Estella has other ideas) is directed by Gavin Low – both parodies on the great Charles Dickens’ classics. Also, Uked! – the first play-along ukulele musical, written and produced by Jane, will premiere at the Guildford Music Hall in Central Victoria from 21-30 Jun. Genevieve Dunne will be performing at the Lyric Hammersmith in 1927’s critically acclaimed The Animals and Children Took to the Streets from 19 Feb – 16 Mar. Paul Clayton directs The Ruffian on the Stair by Joe Orton at the Hope Theatre (of which he is Patron) from tomorrow, 29 Jan. It stars Lucy Benjamin (Eastenders, Casualty, Detectorists), Gary Webster (Eastenders, Minder), and Adam Buchanan (Alan Bates Award Winner, Park Theatre, Theatre By The Lake). Bernard O’Sullivan has just finished in Re-Visions at the Camden People’s Theatre last week. Pamela Schermann directs the European premiere of Cry Havoc by Tom Coash at the Park Theatre from 27 Mar, a passionate love story between a spirited young Egyptian and an idealistic British writer. Citizens of Nowhere? by Ming Ho, which premiered at the Southbank Centre last Oct, runs for two shows at Lakeside Arts Centre, Nottingham, on 4 Feb.
Jelena Budimir directs Beast on the Moon at the Finborough Theatre from tomorrow, 29 Jan, with Claire Cartwright assisting. Paul L Martin leads a practical workshop for performers embarking on their first solo cabaret/concert or seasoned artistes wishing to learn his techniques and tips from the past 25 years. Entitled Shaping Your Show, it will take place on 16 Feb in London. Nigel Osner will be taking his show Too young to stay in, too old to go out! back to the Brighton Fringe this year, and to the Edinburgh Fringe in August. But before these and any other performances, there’ll be a one-off performance at the Etcetera Theatre in Camden on 3 Feb.
Tickets now on sale for Oranges & Ink, which plays at a The Tristan Bates Theatre from 27 Mar until 6 Apr. Written by and starring Claire Louise Amias as Aphra Behn with Sarah Lawrie as Nell Gwyn, this brand new play explores the real life friendship between two of history’s most famous and fearless female libertines. Anthony Shrubsall directs The Project featuring fellow So & Sos Faye Maughan and Nick Delvalle. 1942, Westerbork, Holland, a transit camp en route to Auschwitz. Based on real events 4 Jewish cabaret performers do what they can to avoid getting on the train going east. 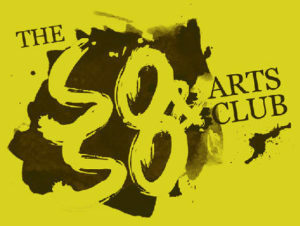 Playing 5-23 Mar at the White Bear Theatre. Sidney Kean plays in Berberian Sound Studio at the Donmar Warehouse from 8 Feb – 30 Mar. Motormouse Productions present Are You Kidding Me? – a Comedy of Unequal Equals by Karen Bartholomew, a short play for Cockpit Pound Night on 18 Feb.
Sarah Shelton is in snowy Frankfurt performing as Fraulein Schneider in Cabaret at the English Theatre there, until 10 Mar. It then transfers to Munich from 26 Mar – 3 Apr. Congratulations to Marcus Kinsella, who has joined the Club as a Lifetime Member, along with Penelope Faith, Becky Sharpe, and Pauline Kiernan, who have joined as yearly members.